October means a lot of things to a lot of people. It is the host to Columbus Day on the 8th, Navy Day on the 27th, and in recent years it has become acknowledged as Breast Cancer Awareness month. It is also home to Halloween and for me personally it encompasses my wedding anniversary on the 9th and my birthday on the 31st. 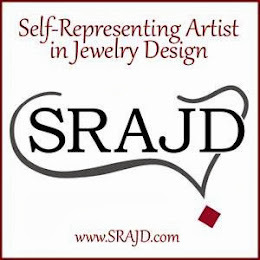 Earlier this month was the launch of a new web group for artists called ARTISAN WHIMSY [http://artisanwhimsy.ning.com/] this group grew from a Facebook group called Creative Bead Chat. Artisan Whimsy is a multi faceted home for creative jewelry people. There are blog post, networking, support groups, and recently some challenges and contests. My interest was peaked recently when I decided to join the 'HOOTERS OWL CHALLENGE'. There are categories for individual components and for completed pieces. 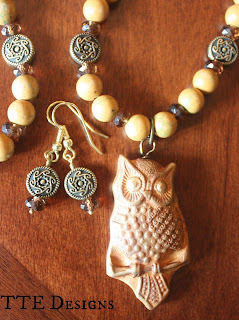 I am entering both with my polymer owl components and my completed necklace set. Just for fun I also made these celtic knot polymer owl charms. 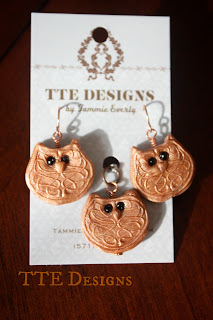 Using a rubber stamp of a celtic knot on copper clay, I then formed each into a little owl, treated them with tints and glazes and added glass bead eyes. A pretty cute pendant & earrings set if I do say so myself. All these pieces are available for sale. 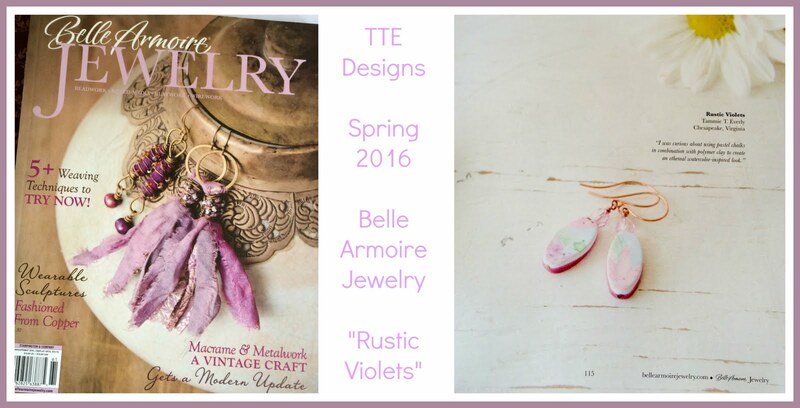 Contact me at tammie@ttedesigns.com for details. Have a Happy Hooter Halloween! They are all so sweet, Tammie! 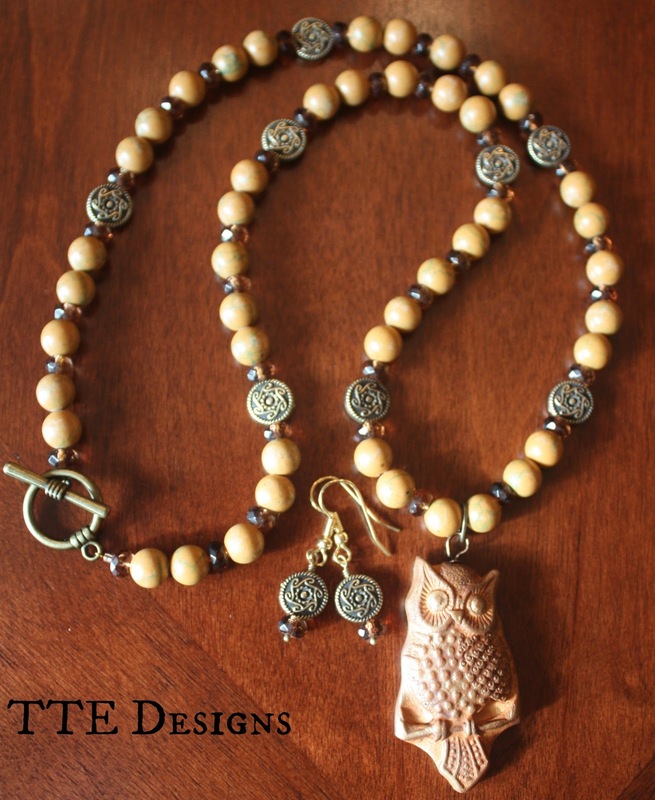 Did you also make the big owl you used in the necklace? Love the Celtic owls Tammie!! I want them! Your Hooters are really adorable. Love the little charms. I really like celtic designs. Good luck with the voting. It's all so beautiful! 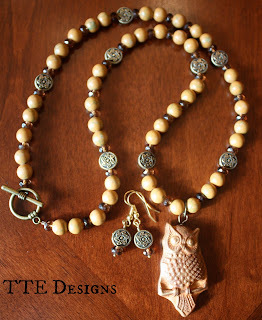 But my fav re the owl with the celtic designs!